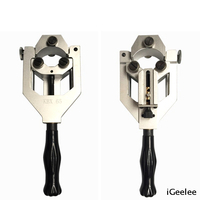 A distinct anti-slip hand-guard offers a secure grip when cutting a support area for putting down the plier, in order to release the hand musculature. 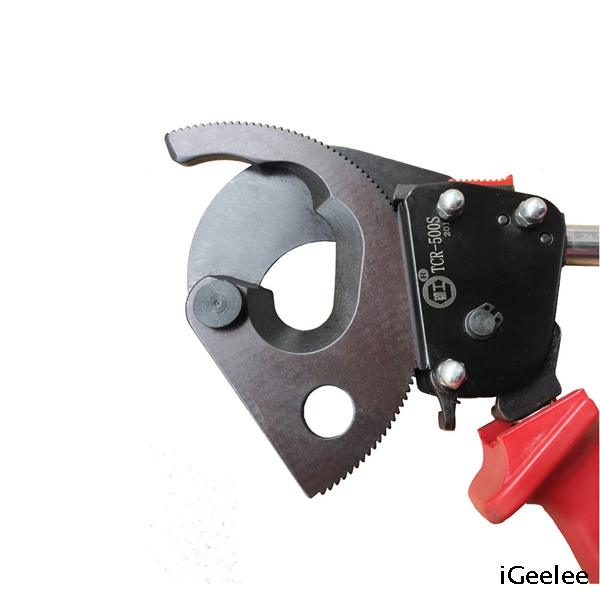 Warning: Do not cut steel or steel wire! 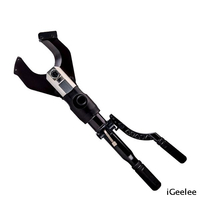 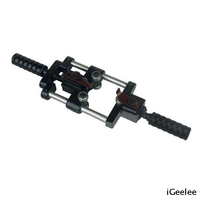 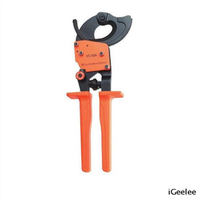 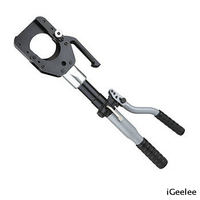 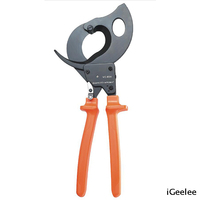 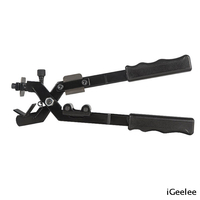 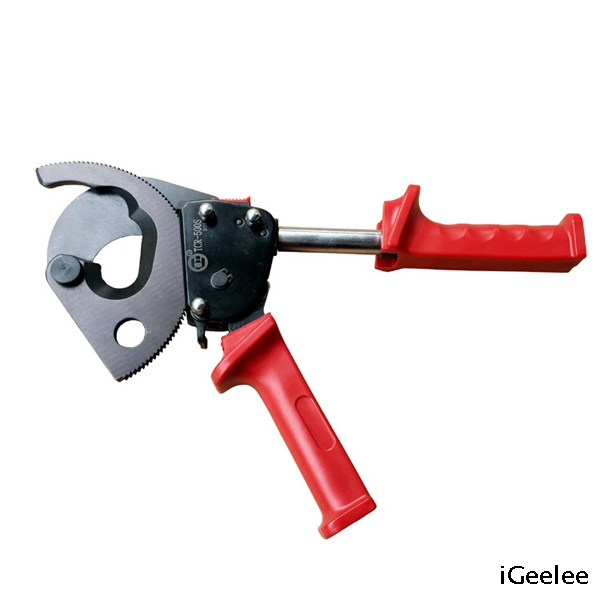 Ratchet cable cutter are used for aluminum conductor and copper conductor. 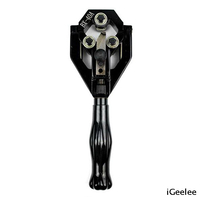 1 Precision blades with optimized shape for smooth cut without crushing. 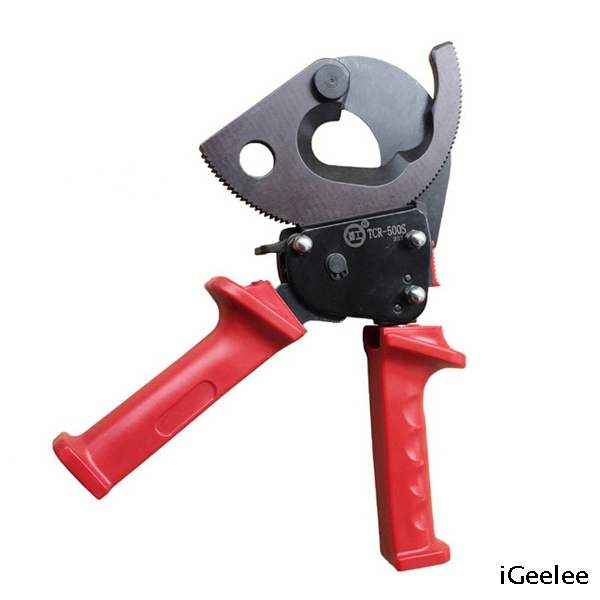 Compact design,can be used even in confined areas. 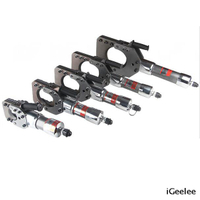 2 Two-stage ratcheted drive with high transmission ratio requires little power. 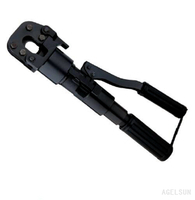 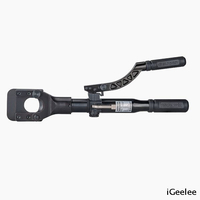 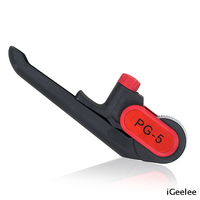 3 A distinct anti-slip hand-guard offers a secure grip when cutting a support area for putting down the plier, in order to release the hand musculature.